Audial terrorism brought forth through a hatred for mankind. 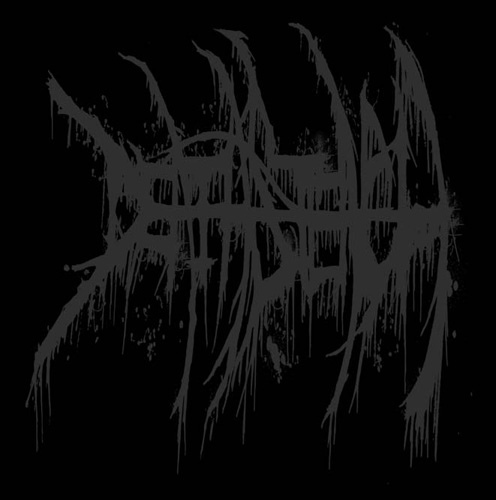 DEATHSTENCH (stylized all uppercases, no spaces) varies from dark ambient to power electronics, black metal to death industrial and all points in between. 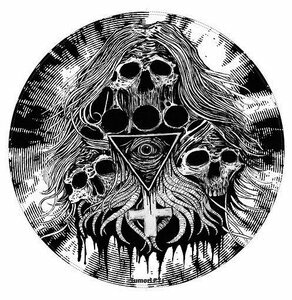 Riddled with occult incantations and misanthropic hate that coalesces perfectly with the chaotic droning black tones. Debut full length from the Los Angeles based duo of Darea Plantin and John-Paul Whetzel, also known for their work in the misanthropic black-doom trio, Welter in Thy Blood. 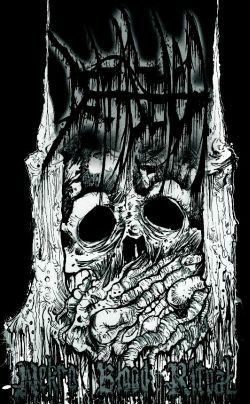 Within their short discography, DEATHSTENCH has proven particularly adept incorporating elements of death industrial, dark ambient, doom, and black metal, and hideously transforming and molding them into a writhing mass of absolute filth and abject darkness. 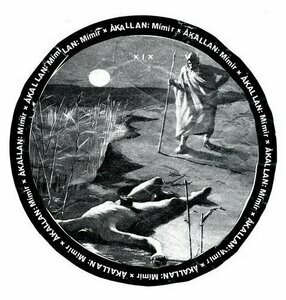 Built upon field recordings, scrap metal percussion, harrowing electronics, down tuned guitar & bass, and demonic vocalizations, the sound is both nihilistic and vile, rife with occult incantations, buzzing, distorted horror, and saturated walls of droning depravity that dissolve into roiling murk and hellish, blackened smear. Their latest installment, Massed in Black Shadow, is an impious communion summoning and invoking the soundtrack for all death to come. 6 tracks, totaling just over 45 minutes, guaranteed to deliver some of the most terrifying and purely misanthropic sounds you’re likely to find anywhere. “Bastards of the Black Flame” features additional sounds and effects by Cory Rowell of Demonologists, and all tracks are mastered by Billy Anderson (Neurosis, Sleep, Eyehategod, Crisis). For fans of Steel Hook Prostheses, MZ.412, Brighter Death Now, Abruptum.